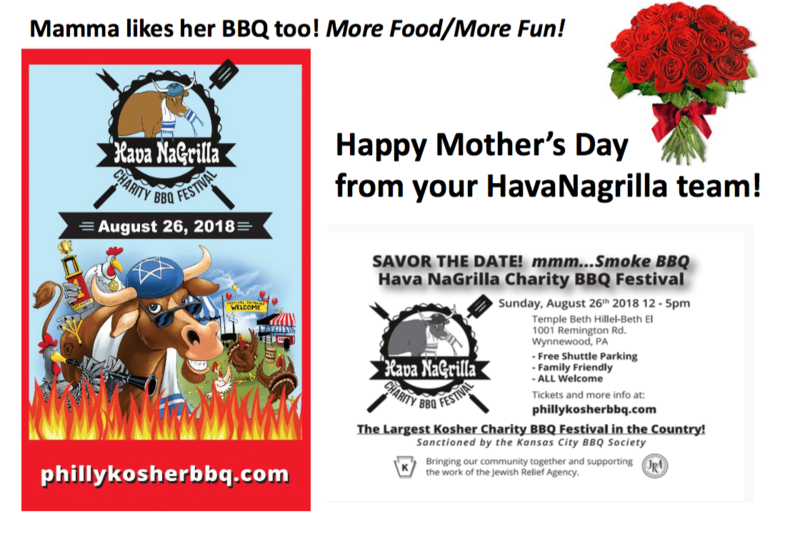 Walk through the Parsha: Mama Likes her BBQ too! 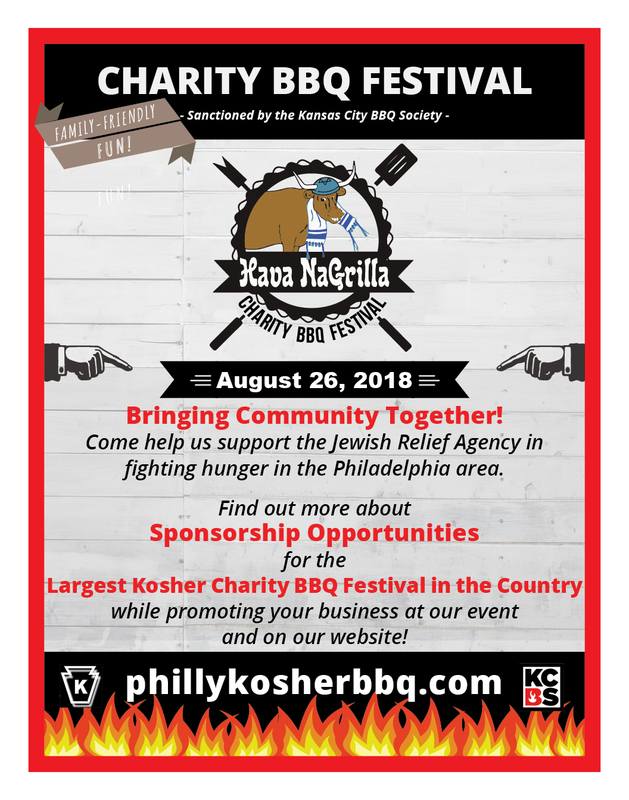 On August 26, our Jewish community will host the 2nd annual Charity Smoke Bbq Festival and Competition, Hava NaGrilla 2018, to be held on the Main Line of Philadelphia. Sanctioned by the Kansas City Bbq Society and certified by the Keystone-K kashrus, twenty cooking teams from across the country will compete for the Mid-Atlantic Grand Champion Pitmaster trophy. Last year we had 4500 festival visitors from the Philadelphia-New York-New Jersey area and beyond. A diverse community of Jewish guests with Reform to Ultra- Orthodox backgrounds as well as non-Jews enjoyed craft artisans, live singing groups, a pickle eating contest, mechanical bull riding, bourbon and scotch tasting, craft beers and sumptuous Texas style BBQ! We strive To kindle community spirit, "K'Ish Echad B'Lev Echad"...( Rashi, "As one man with one heart"). As our iconic festival name suggests, we rejoice in fostering an opportunity to strengthen our alliances as well as promoting our Jewish values to the broader community. We invite our friends from the New York/New Jersey/Long Island area to come and share in our celebration. Like Hava NaGrilla 2017, the New York City area will be well represented with many vendors and celebrities coming to Hava NaGrilla 2018: Six13, the renowned a capella group, our Masters of Ceremony KosherGuru, the Pickle Guys from the Lower East Side, Judd's Memphis Bbq from Brooklyn and 7 cooking teams from Monsey, Lakewood area, Brooklyn, Queens and Long Island. Please take a few minutes and look at our website PhillykosherBBQ.com to learn more about this year's event. We are committed in our mission to fight hunger in our region and will give 85% of net proceeds to the Jewish Relief Agency. Our festival is registered as a 501(c)3 non-profit organization with the IRS. At the event we encourage our guests to organize community building events to support food banks in their home communities. As the event organizer, I humbly ask for your support and sponsorship. This is not my day job.... I am a busy hip and knee orthopedic surgeon! Please call me anytime 610-247-2302 or email me for any questions.